Atlantico Low Dresser (msatlowdr) at Pure Design / Bedroom / Dressers ::: Furniture for the Home, Office, Home Office, and More at Pure Design Online! This simple 6 drawer chest stands on slender legs. Pair it with the Atlantico Bed to create a simple, modern bedroom set. The Atlantico collection is a new brand from the people behind De La Espada. 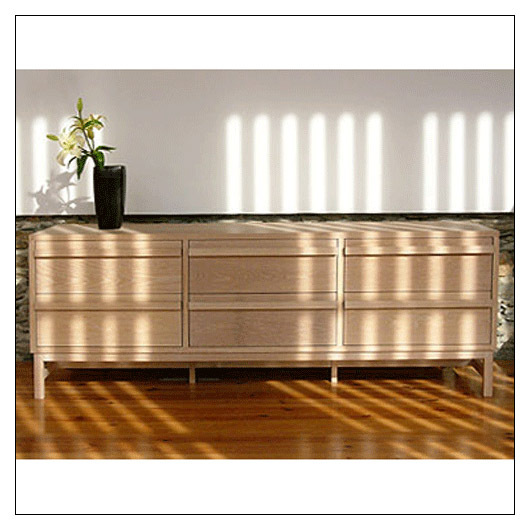 This collection focuses on beautiful hardwood, elegant joinery and natural finishes. **Tip: This item goes great with the Atlantico bed. Lower-48 US sales only. This item is made to order, and can not be returned after production has started. We apologize this item cannot be shipped to Canada. Please allow up to 7-14 weeks, or inquire within.